When Alexander saw his laptop, he wept, for there were no more things to put RGB LEDs on. Well, at least until he talked to MSI. With few places left to put RGB lights in blinged-out gaming laptops, MSI has found one more thing to light up: The rear lid. Sure, the GE73VR Raider RGB already packs a super-fast Core i7 processor and a full-tilt GeForce GTX 1070 GPU (none of that Max-Q stuff), but MSI decided it needed one more thing—a 24-zone RGB LED on back. Not all things are bling though. 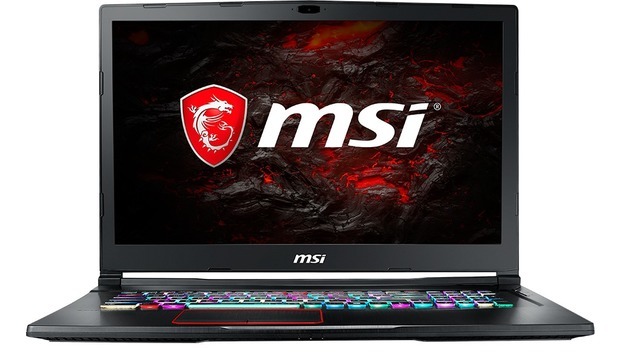 Besides the GE73VR, MSI said it plans to bring a high-dynamic range (HDR) panel to its top dog GT75VR gaming laptop this year as well. Specs and prices of the panel weren't announced, but we can say we saw the HDR panel in action on a prototype and, well, it made the standard panels look downright dull in comparison.